Broad Heath Blogs»Class Blogs 18-19»Class 1 Blue Blog 18-19»Year 1 Reading Challenge Spring 1. ← Year 1 Maths Challenge Spring 1. Year 1 Reading Challenge Spring 1. Year 1, here is a picture of Hansel and Gretel can you describe what is happening in the picture? Write five sentences with your first sentence beginning with ‘One day’ or ‘Once upon a time’. Use the conjunction ‘and’ to describe what is happening in the picture. Don’t forget to use a capital letters, spaces and full stops. Write five sentences with your first sentence beginning with ‘Once upon a time’, ‘One day’ or ‘A long time ago’. Remember to use a conjunction to describe what is happening in the picture. Don’t forget to use a conjunction such as but, because, with or so and an exciting adjective in your sentence. Write a sentence about what might happen next. Remember to use capital letters, spaces and full stops and check your sentences to make sure they make sense. This entry was posted in Class 1 Blue Blog 18-19, Class 1 Red Blog 18-19, Class 1 White Blog 18-19, Reading Challenge and tagged reading-challenge-spring1-2019. Bookmark the permalink. One day Hansel and Gretel went into the deep dark forest. The witch lived in a house made from sweets and chocolates. Hansel was very frightened of the witch. Gretel was scared to because the witch wanted to eat them both. 1)One once upon a time there was a Hansel and Gretel and dad and his mum her mum didn’t like it she didn’t like her stepmother she said to dad take them to the forest and leave them there was certainly the mum said leave them there will come back soon. Once upon a time there was a boy and girl had to go to the forest. They were in the forest they were hungry . They rich to a yummy house. The creepy which saw them. One day in a dark, unhapee woods. The witch was wicked. Hansel was hungry. Gretel was scared. 1. Once upon a time there was a boy and girl called Hanl and Gretel. 2. They Went to a scary place where a unhappy women’s hose. Once upon a time in the deep dark woods Gretel and Hansel were finding food to eat. 1.Once upon a time there was a boy and a girl called Hansel and Gretel. 2.They went to a house made from sweets. 3.There was a witch and she gave them sweets. 4. 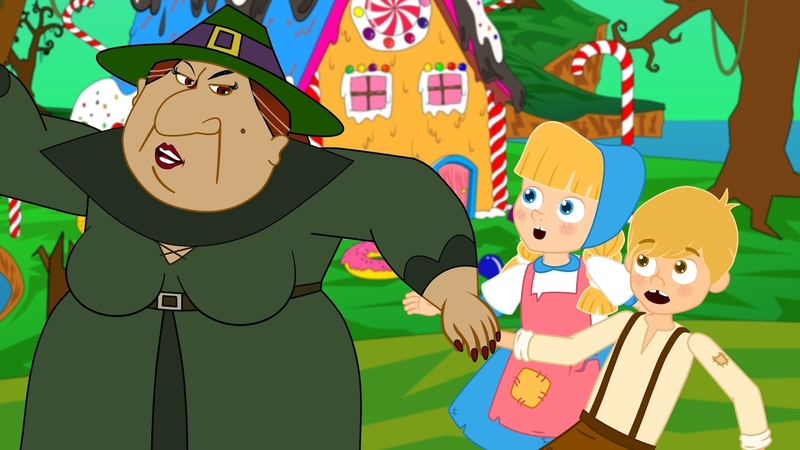 The witch putted them in the oven but Gretel pushed the wicked witch into the oven. 5.They lived happily ever after. 1. Once upon time a boy was late for school and he forgot his lunch. 2. One day the mum and dad left their children in the forest. 3. Once upon time their was a cruel mum and she asked her husband to leave the children in the forest and run away. 4. One day the mum died and the family was happy. 5. Once upon time the mum died . Once upon a time a boy and girl caled Hansel and Gretel wheat to the forest . They met a witch and were scared. Hansel and Gretel wanted to eat the house made of sweets. Once a upon time there was a wreck witch. She has sharp and hard nails. She also has a sharp green hat and a green dress. The witch lived in the a dark and grooming forest. In the forest there was also two children called Hansel and Gretel. In the forest the witch was going to put a spell on Hansel and Gretel they both looked scared and freighted when they saw the witch… They quickly got away with it they managed to escaped..
Once upon a time there was a girl called Gretel and her brother called Hansel. Gretel pushed the witch in the oven and then she quickly closed the oven and turned it on. Once upon a time there was a little boy called Hansel and a girl called Gretal. One day they went to the forest and saw a witch. The witch had tricked them. Hansel and Gretal were confused. 1.Once upon a time there was a witch in the forest. 2.One day Hansel and Gretel went in the forest with the witch. 3.Hansel and Gretel seen the candy house with lots of colourful sweets. 4.Hansel and Gretel was scared from the witch. 5.Witch was grabbing there hands to take them into the candy house. Once upon a time lived Hancel and Gretel in the woods. One day they found a house made of candy. Suddenly a witch popped out of the bathroom window. Then they followed the witch in to the house. But the witch kidnapped the them. 2. One day they went to a witches house and they saw some yummy dessert. Once upon a time there was a boy called Hansel and a girl called Gretel who lived with their dad and their evil stepmother. One day, the evil stepmother said we are going to the forest but when they got there she left them. Hansel and Gretel went to stay with a witch who had a house made of sweets. The witch was evil so one day she grabbed Hansel and tried to pull him by the hair and throw him in the cage. The witch pulled Gretel to the kitchen and then the witch gave Hansel the food to make him fat so she can eat him. Once upon a time there were two children called Hensel and Gretel. They saw an ugly witch. The witch had a big tall hat and a long green coat. She put Hensel in the kitchen beacuse she didnt want her to be silly. The witch lived in a sweet house. The ugly witch took Hensel and Gretel to her sweet house. One day there was a kids and the stepmother.she took them to the forest.there was a witch . They ran away from the forest.they met a lady. One day There were lived brother and sister names Hansel and Gretel. Their mother has passed away when they were baby. They lived with there dad in hut in a jungle. There dad got married with a rich woman who doesn’t like they poor. She decided she wil leave them in jungle because they don’t have food. One day there was a witch. The witch is taking hansel and Gretel away. Hansel and Gretel found a house with sweets. The witch she had a plan to get some more food to make hansel fat. Gretel was afraid as well. One day hansel and Gretel were at the witches house. The witch was taking them. One day Hansel and Gretel were in the woods. The witch was mean to the kids. Once upon a time there was 2 children called Hansel and Gretel. There mother said ” Go in the forest and find somewhere to live. They find an nice witch and the witch let them stay for the night. The next day, the witch was angry and she wanted to cook Hansel for breakfast. Gretel chucked the witch in the oven and they lived happily ever after. Once upon a time Hansel and Gretel were lost in the woods because they didn’t know where they were going. they saw a house made out of sweets and they are the house. they saw a house made out of sweets and it was tasty. A long time ago there were 2 children called Hansel and Gretal. They were lost in the deep and dark forest. Then they saw a house made out of colourful sweets and they were very excited. What happened next,the evil witch came out of the house. Hansel and Gretal were very scared when they saw the witch. The witch grabbed Hansel and Gretal hands and took them inside the house. Then she put Hansel in the jail and let Gretal to do all other jobs. The witch was giving lots of food to Hansel to make him fat because she wanted to eat him. Finally Gretal pushed the witch into the hot oven and the witch was on fire. Gretal got the keys and unlocked the door, then they both ran home to there father. once upon a time there was 2 kids.They got sent to the forest. They wanted to eat the house.Someone let them in.Hansel got trapped. Ones pun time lived 2 children could handle and give one day the mother told their father that she didn’t like her children because she wanted to go and lose them at the forestthey were both really sad cos the night came andall of the animals keep making a sound around them all so they quickly all they both went home on cancel hansells little thingsthen the mother was really proud and their father was really happy that they were back. 1- One day there was a witch in the woods . 2- There was Hansel and Gretel . 5- The witch was trying to push them in to her house .